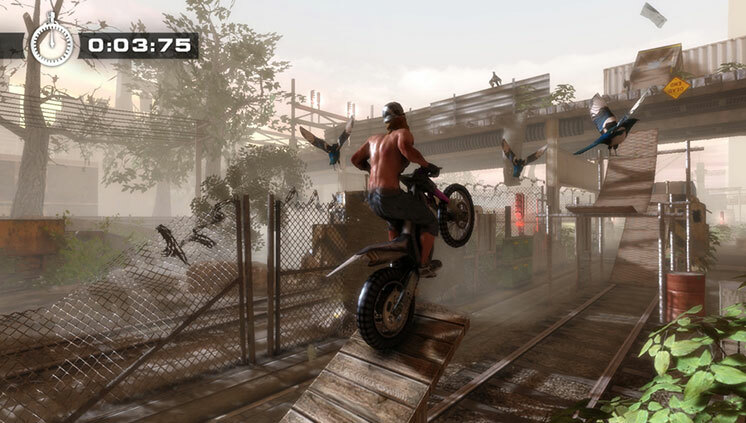 Launching this week is Tate Interactive’s Urban Trial Freestyle for the PS3 and PS Vita. 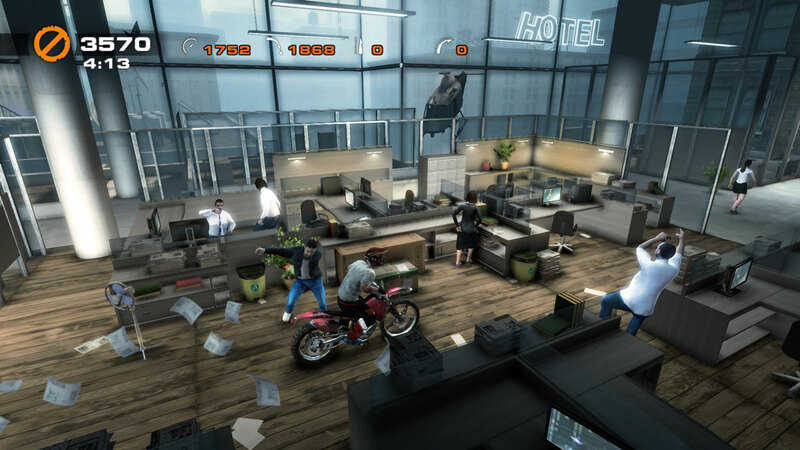 The game adopts a genre newly introduced to the console and gaming platforms. Urban Trial Freestyle explores new heights with the game’s innovative physics engine and pick-up-and-go trial motorcycle riding. Inspired by the sport of urban trial freestyle motorcycling, the game endorses the insane, extreme, “bonehead” riding culture. The intro takes you to the streets, alleys, and valleys of urban areas along with police sirens and their radios tuned into freestyle riding mayhem. Julien Dupont, godfather and legend of the sport is said to have inspired the physics and gameplay of Urban Trial Freestyle. 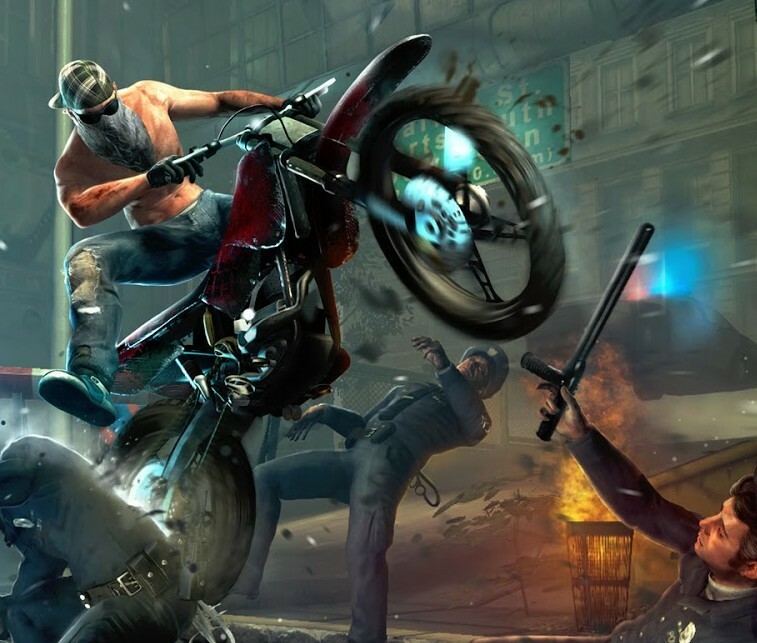 You play as a shirtless thug rider fully customizable from helmet to shoes. I appreciated the Rastah helmet customization because that’s just my style. Each tweak to your rider and your bike costs money, which can be collected in special areas during the game. There are 5 “worlds”, each consisting of 8 playable levels where you test your skills against the clock and scoreboards. It also has a “Challenge Mode” of 5 challenges, testing riders by pushing its physics engine to its fullest. Much like the leaderboard system we saw in PS Vita’s MotorStorm RC, the game makes heavy use of PSN’s leaderboards and packs 12 trophies for you to master the game and win. As you begin the level, you’re immediately engaged as soon as you accelerate with the Right Trigger or X button. Controls are designed to be simplistic as possible, as restarting from the last checkpoint to perfect your stunt or prevent a time costly death is only a button push away. The Left Stick is designed to balance the bike whiling you jump off ramps, skip off cars and crates, and free fall off of cliffs. The in-game physics are tailored to the sport, designed to get as much out of your wheelies, flips, and air-time as possible, which truly enhances the gaming experience. As you progress through the game, you are challenged to take riskier stunts and manoeuvres in return for stunt rewards and money. The money can be used to purchase upgrades to your bike, which in turn will improve your performance on each level. A perfect achievement for each level will gain you 5 stars, which you would need in order to advance into the greater worlds. Before each stunt, you’ll notice the avatar of the top player of the leaderboard at that time. You are pushed to your limits as ghost markers will tell you where your rivals stand. I found chasing a ghost quite engaging as it felt like a real race with stunts included. The stunts that were most satisfying were the ones that took your time and not just busting right through them. Although, I found it exceptionally hard jumping over exploding gas tanks. Visually, the game is dynamic. The game takes place in a variety of areas such as theme parks, factories, grasslands, and what looks to be like the suburbs of Brazil. Load times are fast and don’t take you away from the game. 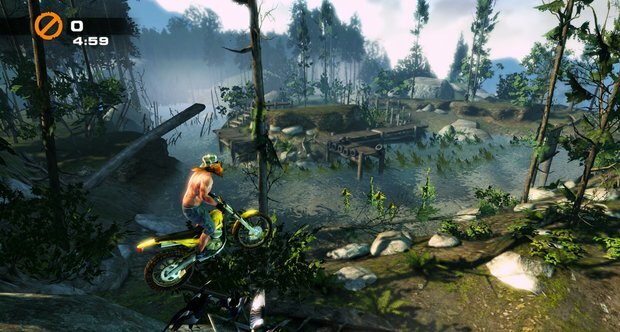 Some in-game slow motion features bring out the hazards and dangers of Urban Trial Freestyle. In summary, Urban Trial Freestyle is an easy, fun, and fastening portable game. The in-game leaderboards, rewards, and trophies offers an array of challenges that will always keep you playing. What’s questioning is that the release of this game for both the PS3 and Vita will not be supporting the cross-buy feature. But, at a low price point, you’re getting a reasonably addictive game in the palm of your hands with not too much to complain about. If you’re looking for an adrenaline rush on the go, or if you like leaving your mark for other players to admire, you should give this game a try.